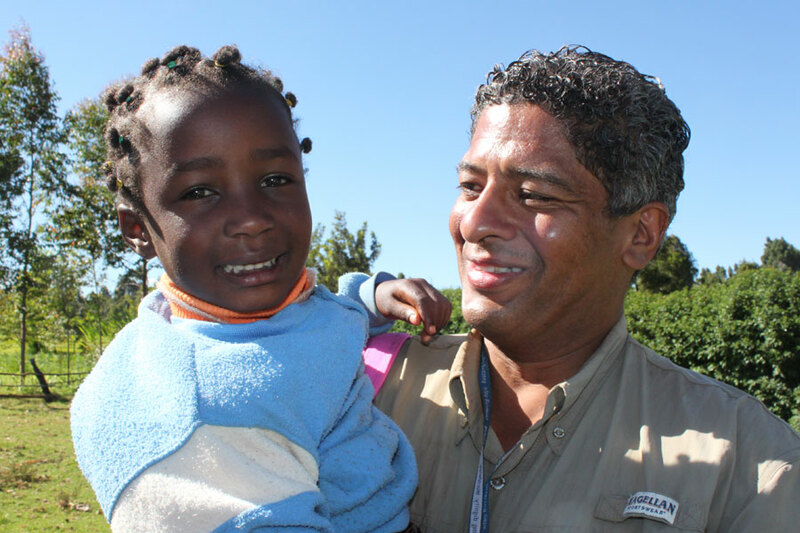 Patrick Clementine, CFCA sponsor, meets his sponsored friend, Victoria, in Kenya on a CFCA awareness trip. Have you ever looked back on a trip, only to realize you barely remember any of your experiences? If this sounds familiar, then read these six ways to chronicle your travel experience and never forget a special moment! Maybe you visited your sponsored friend and family on a CFCA awareness trip and experienced their daily life firsthand. Do you remember what your surroundings looked like? Did you try a cultural dish that you might never have tried before? What did it taste like? What about the experience meeting sponsored friends and their families? How many people were there? Did they welcome you with cultural presentations that included indigenous costumes and instruments? Was it warm or cold? Remembering specific details from a trip can be difficult after some time has passed. The best way to remember the full experience from your trip is to chronicle significant moments. And with these six methods, you can begin to document those moments in multiple ways. Bringing a pocket-sized notebook and pen with you can be a powerful tool. Journaling small but powerful moments can instantly bring a memory back to you. The best tip about journaling special moments: Write down everything, and don’t worry about making it perfect. Sponsored children journal their experiences in a letter to their sponsor. It can be difficult to stare at a blank page and want to fill it with beautiful prose, but you can always save that for later. Try writing down everything that happens, like a stream of consciousness, and then allow yourself to sort through the details later. By giving your mind time to rest and process what was important, you can look back and recall what really made you feel great about that moment. When you start journaling, try to describe things you may forget: the smell of the outdoors, the sounds of car horns, the colors of clothing or the taste of a delicious new dish. You’d be surprised how much these small details can bring you right back to where you were. Not everyone is a writer. We get it. If that’s the case, why not try a video diary of your trip! Nearly all tablets, smartphones and digital cameras have the capability to take video footage. You can record those special moments as they happen, and then watch them again to remember your trip. 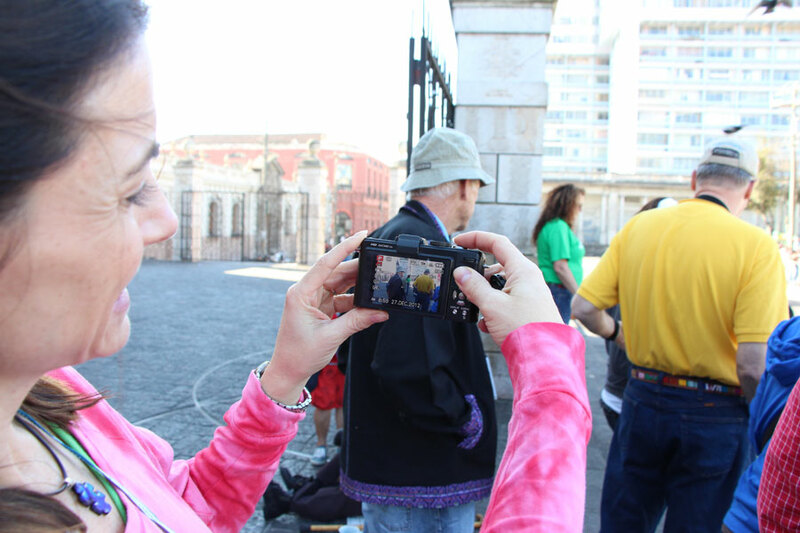 Zena Weist, CFCA sponsor, records trip experiences with her digital camera on a CFCA awareness trip to Guatemala. You can also make a personal diary of your reflections for the day. When you get back to your room for the evening, or when you wake up in the morning, record yourself describing the day and how those experiences made you feel. A handy tool for journalists for years, much like the trusty pocket-sized notebook, a hand-held tape recorder allows you to quickly record your experiences with your voice. A perfect combination between journaling and a video diary! When you arrive back at your destination you can listen to your recording and write out the important things you want to remember. Some hand-held recorders will even download as word files into your computer. With the invention of digital cameras, we can now take thousands of pictures without worrying about the cost of film. Take pictures of everything you see. Your room, the bathroom (make sure you’re alone), your food, the sights, the people, everything! 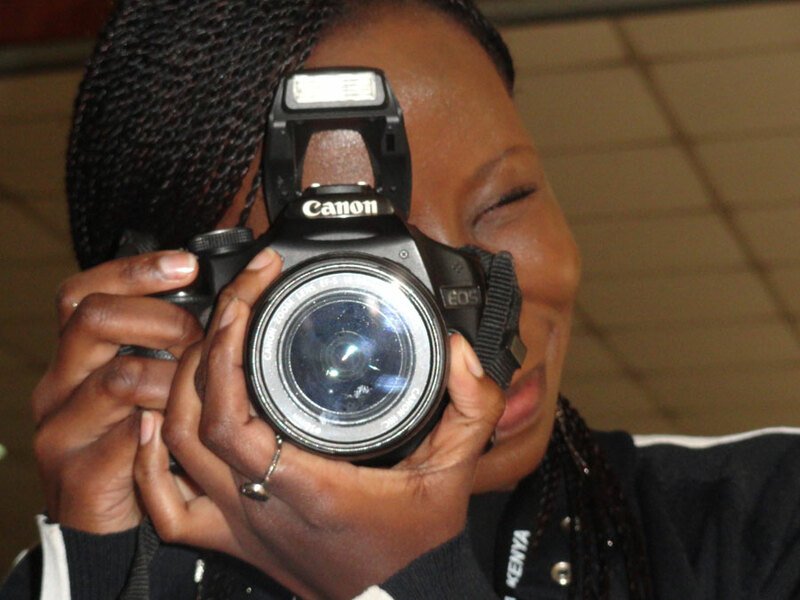 Regina Mburu, CFCA communications liaison for Africa, captures moments during an awareness trip in Kenya. Taking a lot of photos will help you remember your trip with visual cues. Are you going to the beach? Take a picture of the sand between your toes or the tide rolling in over your feet. One look at that photo and you’ll smell saltwater in no time. You can also make a food diary with photos from your trip. Take a picture of all the food you ate on your trip and share it with foodies everywhere. Share photos of your trip on Instagram (@cfcausa) and Facebook, and send out updates through Twitter. Using social media is great for those who are “on the go” and tech savvy. When you travel on a CFCA trip, send us a photo, message or tweet through social media. Use the hashtag, #CFCAtrips, and see photos and tweets from other fellow travelers who are documenting their trip on social media. When you get back, start a hangout on Google+ with your family and friends and share your trip experiences with them! If you can’t express the true artist in you with the above ideas, try using your experiences as inspiration for creative works. 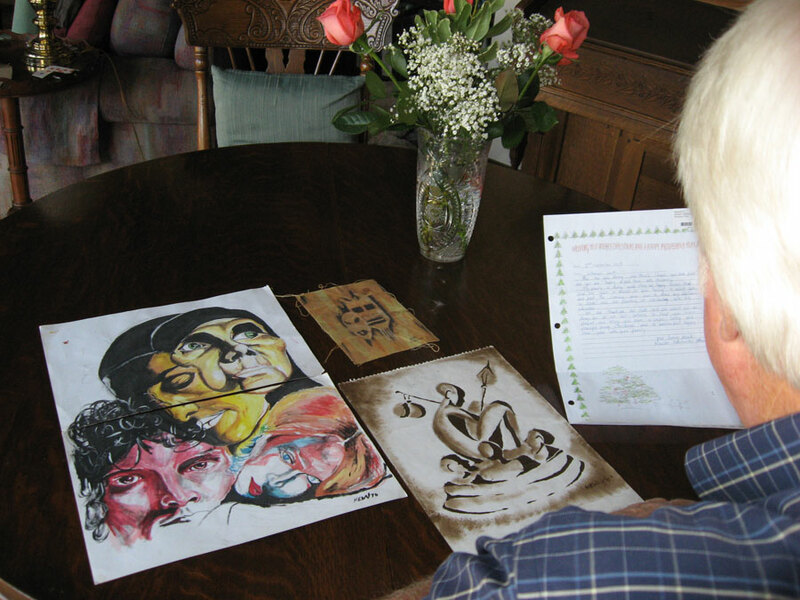 Bring a sketchbook or use a tablet to draw something you find meaningful on your trip. You can even use your journal. You can also elaborate on your sketches when you get home by using them to paint your experiences onto canvas. CFCA sponsors Fred and Scheryn Pratt visited their sponsored youth, Newton, in Kenya. Newton, an artist, painted these pictures for them. If music is your bag, try writing a song. You can write lyrics or simply a melody evoking the memory of your trip. Whatever you decide to do, just remember the most important part of your trip is to be present in the moment. How do you remember your travel experiences? Let us know and leave a comment!